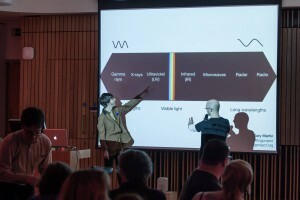 RGB Cocktail Party was the first of three GastroLabs I programmed with New Media Scotland as their 2014 Alt-w Design Informatics Curator-in-Residence. 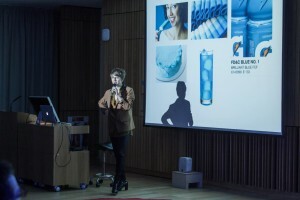 The host of our RGB (Red, Green, Blue) cocktail party was French-American food designer and artist Emilie Baltz. Based in New York and Paris, she works at the intersection of gastronomy, performance and the visual arts to stimulate the definition of taste by provoking the five senses in new and unexpected ways. 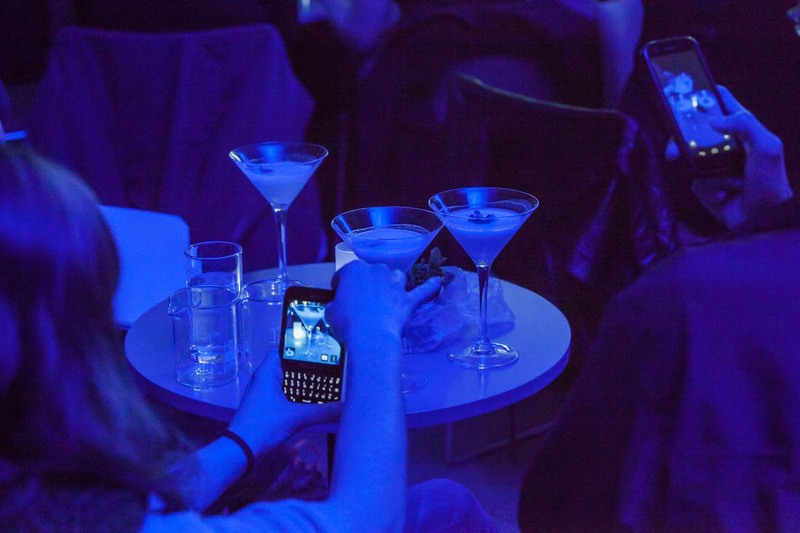 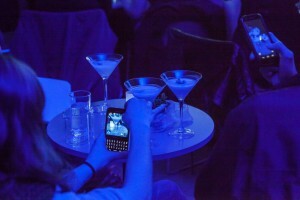 In this ‘Triptych for Enlightened Drinking’ audiences discovered the effects of light and colour on solids (food) and liquids (cocktails) and how they impact human psychology. 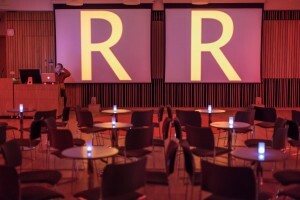 Real time visuals produced by DJ Nord bathed the laboratory with colour to complement each of the three phases of mixology. 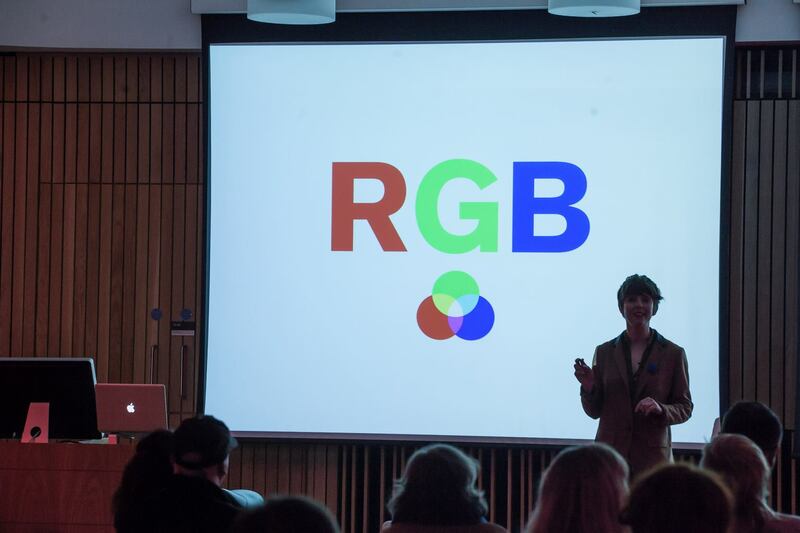 Emilie discussed the effects of the RGB colour range of the light spectrum and how they affect mood and energy levels with Gary Martin‘s Lightlog project. 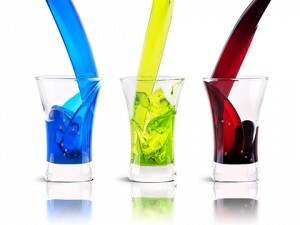 How does colour affect how we consume food and how it affects our bodies? 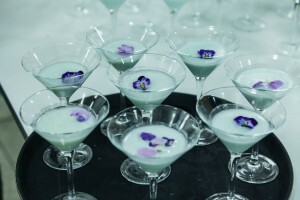 Cocktails by Elaine Mason, Ericka Duffy, and Rob McHardy. Catering by Blue Sky Catering. 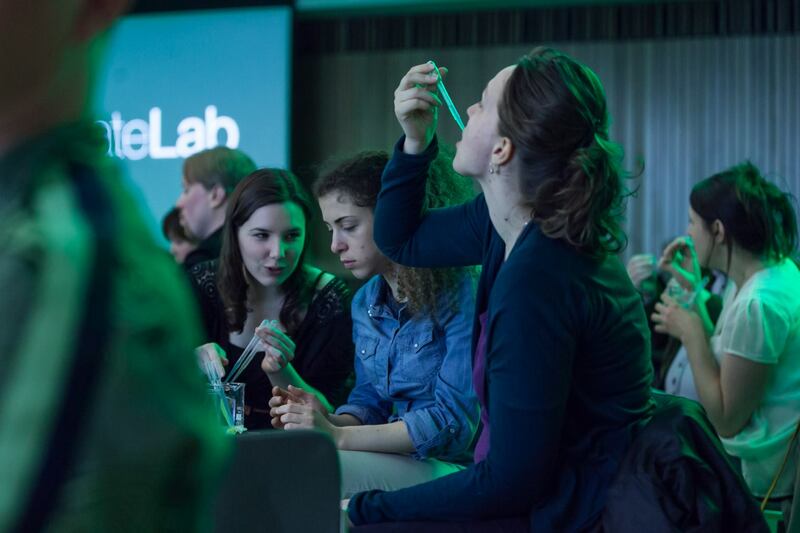 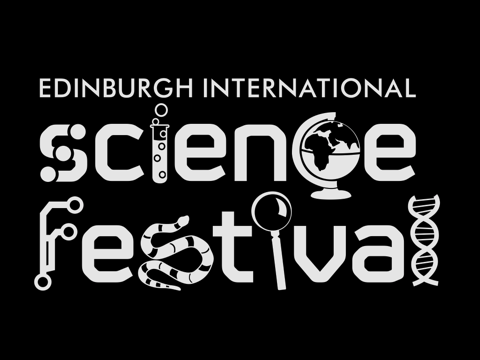 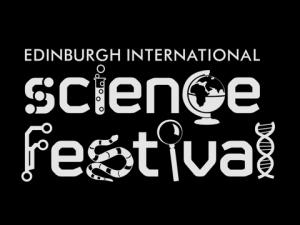 GastroLab was part of LateLab2014, a collaboration between the Edinburgh International Science Festival, New Media Scotland and the University of Edinburgh’s School of Informatics.